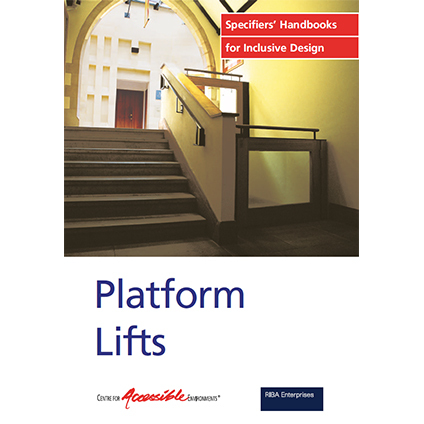 Covers the design and access opportunities that platform lifts offer in improving physical access to and within non-domestic buildings. Covers the design and access opportunities that platform lifts offer in improving physical access to and within non-domestic buildings. Covers a range of platform lift types and step lifts.